Don't see what you want? 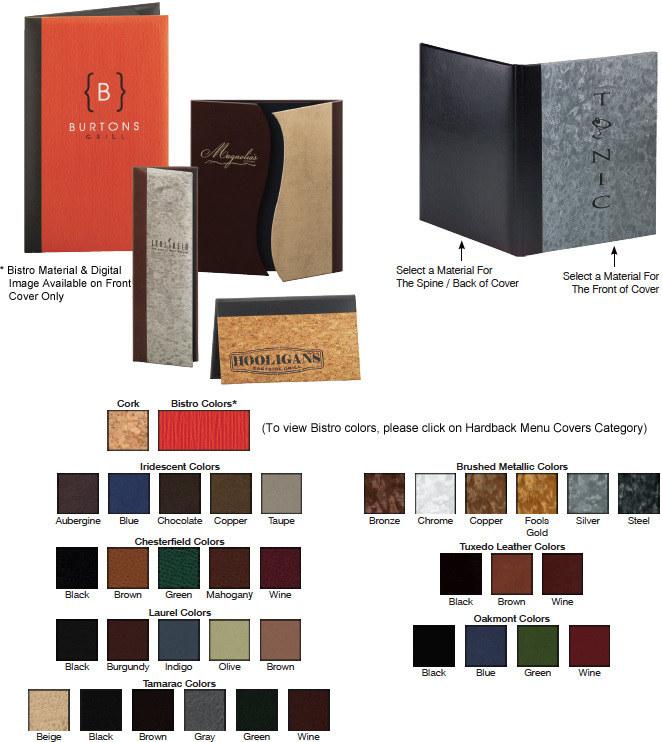 Feel free to mix and match our spectacular materials to create your very own custom menu cover design. Two-tone menu covers, S-Curve menu covers, Die-cut menu covers - you think it up and we'll make it happen! For more information and help with this option, please call us at (888) 929-6368 or email us at info@themenushop.com.